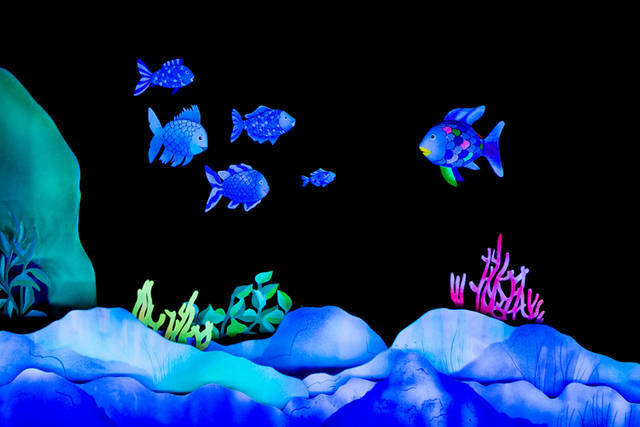 Darke County Center for the Arts Family Theatre Series presents Mermaid Theatre of Nova Scotia’s production of “Rainbow Fish,” based on the classic children’s book, at 2 p.m. Sunday in St. Clair Memorial Hall. GREENVILLE – Darke County Center for the Arts recognized the Lydia E. Schaurer Memorial Trust for its support of the arts in Darke County. DCCA thanked the Lydia E. Schaurer Memorial Trust for its contribution to the 2018-19 season and forwarding DCCA’s mission to encourage cultural enrichment in the community. The Ketrow Foundation supports DCCA’s Family Theatre Series and Arts in Education programs, which benefit Darke County youth and their families. Featured productions in the 2018-19 season include comedic juggling performance of “Playing By Air” on Nov. 18. 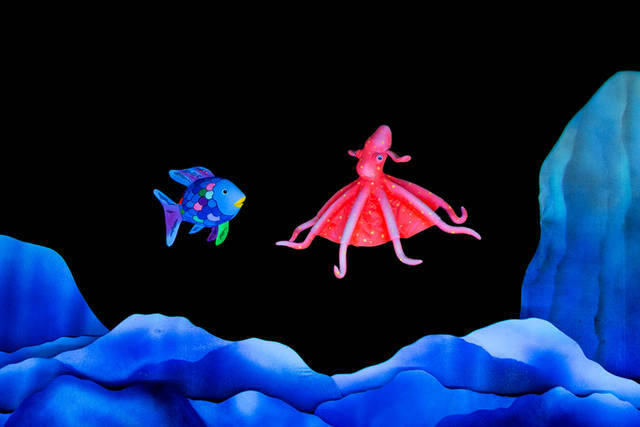 Mermaid Theatre of Nova Scotia’s production of “Rainbow Fish,” based on the classic children’s book, on Feb. 10 and on April 7 “Underneath a Magical Moon” from Tutti Fruitti Productions, a re-imagining of the Peter Pan tale as it would be told by Wendy. All three performances are on Sundays starting at 2 p.m. at St. Clair Memorial Hall. Thanks to continued community support, ticket prices have remained at $5 since the first Family Theatre Series performance in 1997. DCCA Arts In Education programs for 2018-19 season include Kathakaar (grades K-3) “The Spinning Storytellers” sharing history and culture of India. Lee Murdock shared music and history of the Great Lakes (grades 4-6); Alpin Hong (grades 7 and 8) a Darke County favorite, returned bringing his own “pianistic firebrand” to St. Clair Memorial Hall; and Jonathan Kingham (grades 9-12) shared creative songwriting. In addition to performing for junior high students, Alpin Hong also was presented as part of the DCCA Artists Series. Arts In Education artists are generally in residence for a week as they tour all of the eight public school districts in Darke County. These programs are open to the public; contact the DCCA office for more information. For more information on Darke County Center for the Arts, contact the DCCA office at 937-547-0908 or visit its website at www.DarkeCountyArts.org.